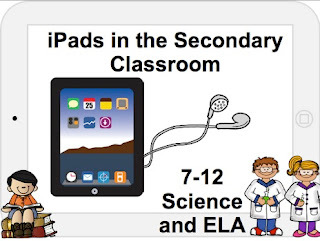 Last week I had the opportunity to spend some time with several amazing secondary Science and Language Arts teachers. I had a great time with them and I learned so much from them. We looked at the logistics of integrating iPads into the classroom and worked with a few individual apps. Embedded below is my presentation. Know of any apps that I'm missing that needed to be added? Let me know in the comments below!